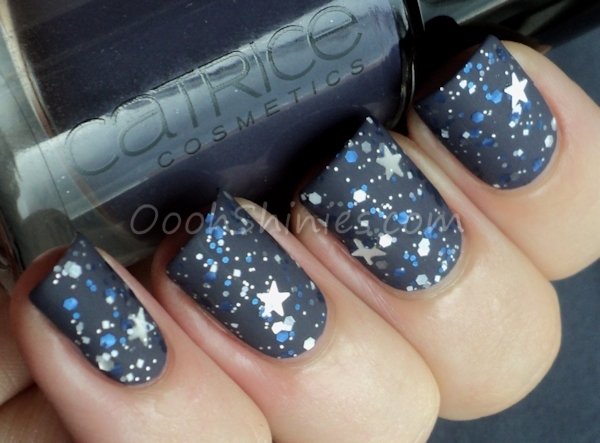 Catrice How I Matt Your Mother with I Love Nail Polish Once Upon A Starry Night and Essence Matt. The base looks a lot darker here than it does mattified, but that's mainly the light, it depends a bit from where you look at it. 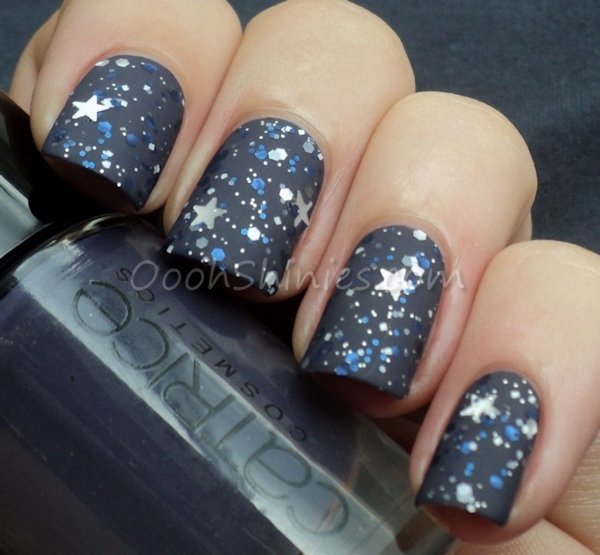 When I used HIMYM it reminded me again what a great polish it is, it applied easy, covers well, dries fast and it's a gorgeous color!